There was some controversy this week over whether the state hockey championship between St. Ignatius and Northview High School should have ended in a tie. 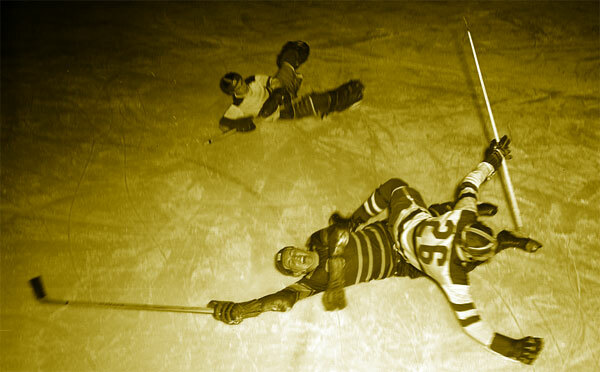 Hockey officials and independent medical personnel observed some health and safety concerns among the players and a decision was made to discontinue the game. Today I spoke with WAKR morning show host Ray Horner about sports safety. 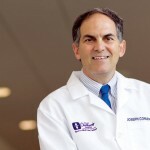 HORNER: Our good friend Dr. Joe Congeni now on board with us at 1590 WAKR. Joe – hockey and a lengthy game the other night huh? DR. CONGENI: Yeah. That was interesting. I have to admit I actually turned it on because of the controversy related to it. I saw a little bit on TV on (Sports Time Ohio). Being the voice of reason in town Ray, I wanted to get your opinion on it a little bit too. Setting the scene – (we are talking about) the state finals in hockey. Every week that goes by now, we move on to a new championship. In the hockey state finals last week they went into 7 overtimes in a 1-1 game. At the end of the 7th overtime, the game was discontinued for health and safety reasons. It was declared a tie and (we have) dual state champions from St. Ignatius and a team from Toledo (Northview High School). HORNER: Well (let’s) look at this game first of all from my side and then you can look at it medically. They either need to change the rules (regarding) the way they do it with a shootout or I think they should have brought them back the next day since they have the current rules. Medically I do understand for security and safety reasons (why they discontinued it). DR. CONGENI: Yeah. I like the idea of bringing them back the next day. Being around sports (wearing my sports hat), the shootouts are not really indicative of the sport. I don’t love them to decide soccer matches either to be honest. But in hockey, with hockey purists, I know that deciding a game in a shootout — Ohio isn’t the only state that doesn’t allow shootouts to determine a championship — I’m told that most of the country does not use shootouts to break a tie. Now (let’s switch) over to my medical hat and talk about the medical issues. A couple of things – playing for that long, no matter what you’re doing, these kids are going to get dehydrated. The word that I’ve heard (although) I haven’t seen this written in articles, (they said) athletes on both sides were cramping in the locker room quite significantly. It would have been a time you would almost have to start talking about IVs to rehydrate some of these kids. They were playing much longer — more than twice (the time) they would have expected to play. Now this brings up some debate about one team maybe having more depth or one team being in better shape. Maybe by discontinuing it after 7 (overtimes) it was a survival of the fittest type of thing? That’s part of the controversy. The other thing I heard is that the play got really rough. The officials did not want to decide the game by calling a penalty. In the last few periods, the game got pretty rough. I kind of wanted to see that for myself. They were afraid of an injury from that standpoint. So the real hot topic, as it fell on Dan Roth’s shoulders, was to make a decision. If someone gets hurt with the decision they made, then it really looks bad if you’re letting them play past 7 overtimes. There’s precedent on both sides. There have been states where they played more than 7 overtimes and there is also some precedent where people have discontinued the game. (Ray) I like your idea of coming back the next day and playing. I was surprised and happy (for medical reasons) that an independent medical observer went into the locker rooms and saw on both sides that kids were at risk. It really was a smart thing (to discontinue the game). HORNER: Alright Joe, great insight as always. Thanks Joe. We’ll catch up with you next week. DR. CONGENI: Alright. Have a great week. 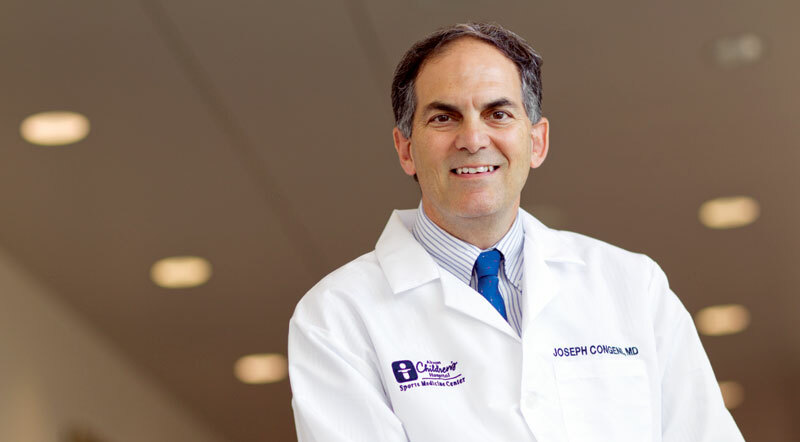 HORNER: Dr. Joe Congeni, Sports Medicine Center at Akron Children’s Hospital, on board with us.